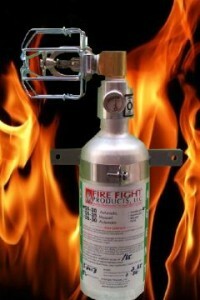 Our “Auto deploy” supplemental fire suppression systems are on duty 24/7 in whatever compartment you mount them in. Continually monitoring ambient temperature in the compartment using a simple, reliable and effective heat sensitive sprinkler head, the same as the ones used in commercial fire suppression systems. When the heat in the compartment builds to the predetermined release temperature(usually 286 in motor compartments or 155 deg. F. for enclosed compartments) our systems spring into action deploying the contents of their nitrogen pressurized container into your compartment effectively squelching a fire the opportunity to exist, and while the concentration of our clean agent gas stays above 5% by volume fire cannot reignite or be there. It’s as simple as that. No wiring to run, no consoles to monitor, no periodic maintenance to perform or contracts to pay for, as long as there is pressure reading on the pressure gauge on the cylinder, our system is ready to deploy. If you can run a screw gun, you can install these systems! Our sympathies go out to the owner of this classic GMC. 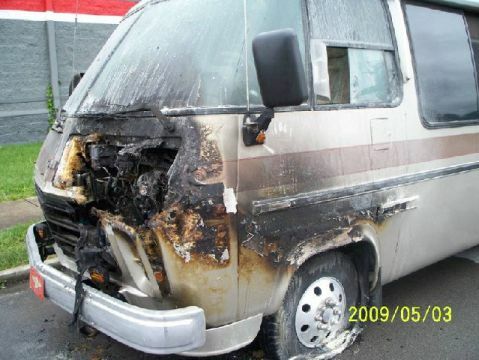 They are only one of the thousands of owners yearly who experience a devastating loss like this. This may have been prevented if one of our supplemental systems was installed. 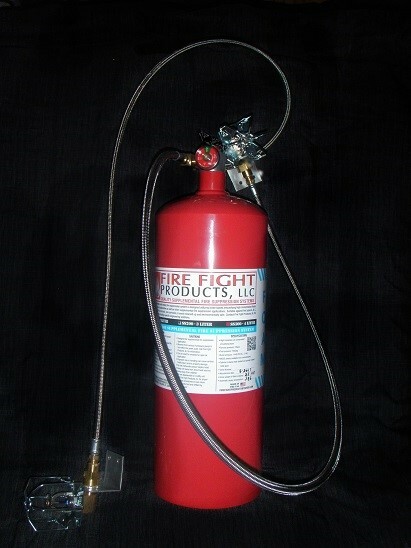 Fire Fight supplemental fire suppression products are designed specifically for the auto, RV and marine enthusiast interested in having more than the minimum fire measures required by law. 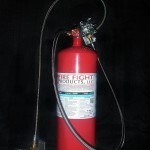 Our units are easy to install and are very effective when properly used. 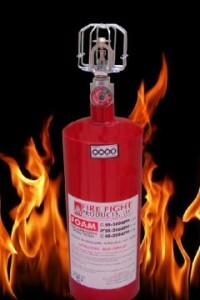 Each unit is designed for specific applications. Please contact us or one of our dealers for specific information on your desired application. *please note: shipping regulations only allow us to ship to the lower 48 contiguous states by ground only!